… see the pain, not the price! 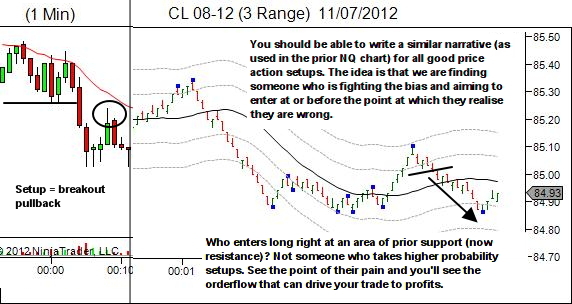 I love these deeper metagame orderflow articles… seeing price action from a whole different perspective! Simply excellent. 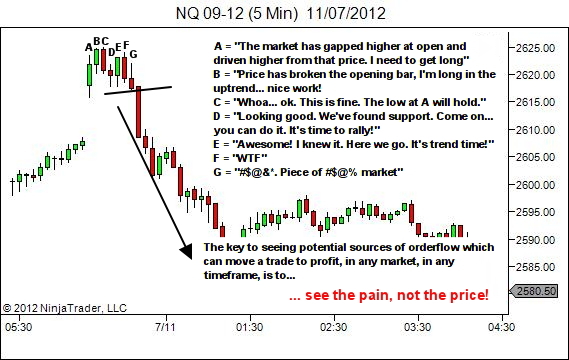 Looking at price order flow sentiment from the perspective of what other traders are thinking and feeling is really one of the best (if not thé best) ways to to trade isn’t it. The “who the heck would trade right into this area, or that area” statements are really powerful too. Allows one to see how professionals fish out the amateurs! Ha ha! It looks to be right at 10:30, so I would guess he was unaware of a news release?